In Pitjantjatjara language, the word Ngura is a definition for the physical geography of land and country. However Ngura has a more richly imbedded meaning as a place to which someone belongs; defining where an individual comes from, family connections, skin groups, and language. Paintings of Ngura often portray personal stories and memories of country that is personal to the artist. Iconography of significant elements within the desert landscape such as rock holes, underground springs, mountain and rock formations, and sacred sites are meticulously recorded from memory, and often depicted from an aerial perspective. 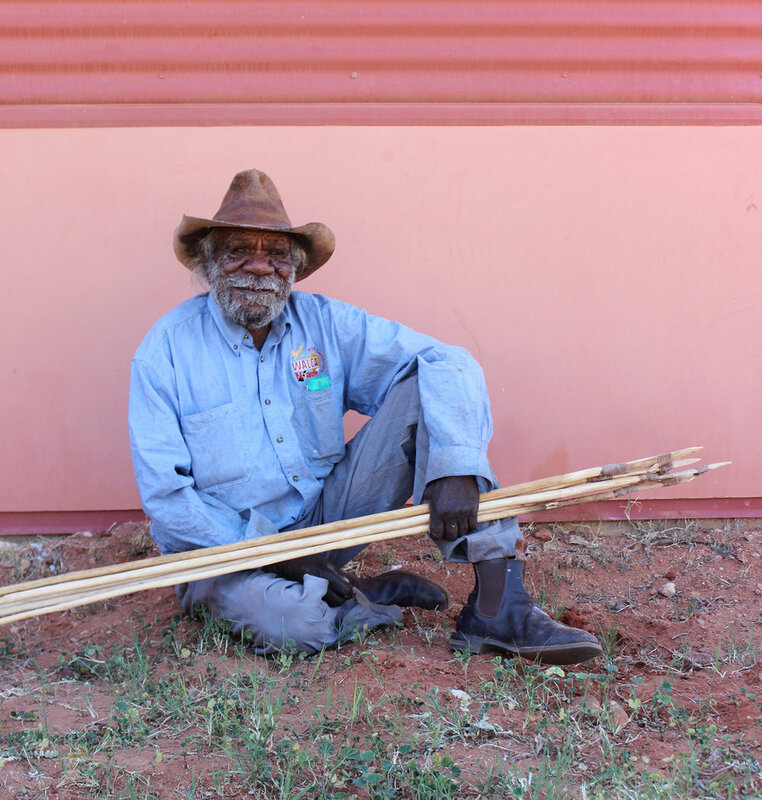 Like many other older artists working at Iwantja Arts, Peter worked as a stockman across the Lands. In his paintings he maps the land and his knowledge of country, drawing from his memories. In recent years, his paintings have become well known for their large expanses of reds and orange across a detailed surface. He has exhibited extensively in Australia and was recently included in Tarnanthi: the inaugural Festival of Aboriginal and Torres Strait Islander Art held in Adelaide in 2015.